Samsung Galaxy Tab E Nook 9.6"
Samsung Galaxy Tab A Nook 7"
Welcome to APIFM's 2018 Farm to Chopsticks Online Silent Auction! Starting on August 6, 2018, APIFM will be auctioning off a number of fun and unique items to bid on to raise money for our organization - and the more items we have the more money we can raise, so we're asking for your help. This auction will continue until the night of the event. We're hoping you'll support us by starting a friendly bidding competition for a good cause! Give a little and get a lot in return. You can support us in a few ways! Thanks for having our "boks". Happy bidding! 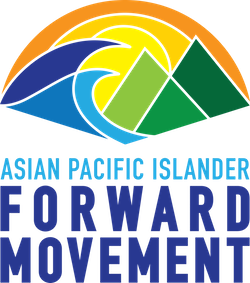 Join us this August 23, 2018 for API Forward Movement’s annual fundraiser, Farm to Chopsticks, emcee’d by DANakaDAN! This year we are proud to feature dinner from GREEN ZONE Organic Pan-Asian Cuisine - a restaurant that regularly supports the local, small farmers of APIFM’s Food Roots network. We’re also thrilled to bring you a demo and tasting from Korean-Argentinian “master griller” CHEF PABLO KIM, founder of Pablo Kim’s Chimichurri and one of the top 11 finalists of Masterchef Latino 2017. And don’t miss out on drumming from KIWA’s Generating Action through Resistance and Culture group! This is also your chance to celebrate this year’s APIFM community leader awardees, and bid in our SILENT AUCTION! Interested in sponsoring Farm to Chopsticks 2018? Check out the sponsorship form here. Thank you to our current sponsors: Capital Group, IW Group, California Endowment, Nielsen, and Green Zone! All proceeds from Farm to Chopsticks will support Forward Movement's grassroots education and organizing for food, health, and social justice in AANHPI communities of Los Angeles County. Interested in API Forward Movement? Want to learn more? Visit our website here: www.apifm.org. Copyright © 2003-2019 SPECIAL SERVICE FOR GROUPS INC and BiddingForGood, Inc. All Rights Reserved. Designated trademarks and brands are the property of their respective owners.